So you want an acid wash on your pool? Do you know why you need an acid wash on your pool? How do you know you need an acid wash? The questions listed above are the first three questions that need to be answered before you have an acid wash your pool. Layers of the foundation is stripped away when an acid wash is done on a pools service. Over the years settlement begins to grown on the service of the pool. Stains can be created from a multitude of different reasons. So before you decide your pool needs an acid wash because its turning green, please continue to read. Do you need an acid wash? I would say that there is a 50/50 chance you will not need an acid wash on your pool. 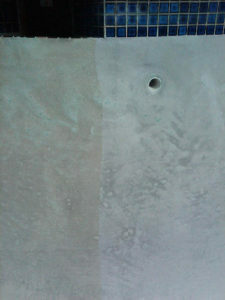 Many times I have gone out to bid acid washes and after seeing the pool I am talking the customer out of an acid wash. I get many calls from customers that the pool needs acid washed because it turned green. This is not the case. A chlorine rinse would suffice at this time over a chlorine rinse. Are you sure you need one? Why do you think you need an acid wash on your pool? Did someone tell you, that you need an acid wash on your pool? Did you read or see something on the internet about needing something about an acid wash? First starting in the industry, I never knew how people thought they needed an acid wash. I remember doing very little research on acid washes before I started doing them. My first acid that i performed was on my, at the time, neighbors pool. Looking back I now know that pool did not need an acid wash. I did not damage the surface of the pool because the solution was weak. I do not know why my neighbor wanted an acid wash. I do know however that I was going to do the acid wash because I needed to learn, as well as, needed the money. When I see cheap prices quoted for pool acid washes, I know it means one of two things. Cheap priced acid washes mean that the service tech doing the acid wash either, really needs the money, or really does not know what they are doing. This is not to say that every acid wash done my a cheap tech is a bad job, but it does mean there is a reason for charging so little. Swimming pool acid washes are done by pool service technicians that are confident in working on customers pools foundation. There are plenty of pool service providers that will not perform acid washes because they do not feel comfortable doing this. Doing an acid wash my sound like a simple process, and it is, but it is also simple to mess it up. Think about what is being done. The service tech is using a heavily invasive acid that will strip off a layer of your pool. Its going to take some amount of confidence in a person to perform this task on someone else pool. Heres the thing. You are only going to be doing a few, if any acid washes on your pool during its life. And even one bad acid wash can ruin or forever alter the appearance of your pool. So how do you know who to hire to to do this acid wash for your pool? Thinking im going to say us right? Well of coarse I am going to tell you to use us. I want to earn your business. The problem with this is I personally can not perform every acid wash on every pool needing an acid wash. That is why I have spent my years in the pool industry building relationships. I know the guys who do great work and stand behind the work that they do. When you hire us to perform an acid wash on your pool you are receiving two levels of confidence. You first have me. I am going to make sure that the work performed on your pool is top level stuff. I only hire the best performers in the industry to do work for us. The second level of confidence you have is in the tech doing the work. We do not hire techs that do not know what they are doing. We only allow techs that are truly passionate for what they doing into your backyard. The acid wash is a art form and should have the correct artist to perform the work. Ok you have been waiting for it and im going to give it to you. We are not the cheapest you will find. That was already discused above. Our prices are on the higher end. There are more than enough companies charging more for this service than we are. But by no means are we the cheapest. We typically start acid washes off at around $400 for a standard size pool. The price goes up for a few different reasons. Not all stains can come out of a pools foundation. There are times when we have done great acid washes and a few stains would not lift. The pool looked great. Right before our eyes the pool transformed into a beautiful brand new looking pool, with one stain that would not budge. Knowing what stains are on the pool helps set the level of expectations. If, when looking at the pool to see if an acid wash is need, we see stains that wont lift, we will inform you. Some stains will need a second run at them and requiring more time. This means the price will go up. This is easy to understand. If you have a small pool the time required to spend at the pool is going to be less resulting in less of a bill. Also, if the pool is a larger pool it is going to take more time and more product. More money for us, more money for you. However, there are times where smaller pools require more work than a larger pool resulting in a large bill for a small pool. There is no industry standard when it comes to price for an acid wash. If your pool does not require a large amount of effort for this acid wash, you wont be charged as much. Simple. If you are needing a acid wash on pool and spa combo.. Yeah you are going to be paying a little more. This is not just because there is a little more foundation to work on, there is an reason for the price increase. Having to acid wash a pool and a spa at the same property is like having to do two acid washes. Yes the spa is significantly smaller, but it is another body that needs the same attention the pool got. The pump will have to be moved from the pool to the spa in order to discharge the acid water out of the spa. This may not seem difficult but I promise you, it is. Setting the pump up in two different locations take a bit of time. Have a spa? Paying more. Im not talking about the calcium on the tile line, we will get to that next. I am referring the the calcium that is embedded into the surface of the pool. This is very common on pools that have salt cells, and have not drained and refilled the pool water in years. Seriously, you choose not to drain your pool for 10 years and then expect this little ol pool dude to come turn your pool back to new for $150. Not logical. The calcium that builds up on your pools surface comes in different size and shapes. They are however equally difficult to get off. Some calcium build up is sharp and pointy. Some calcium build up is flat as the pools surface. Having calcium build up on your pools surface will raise the overall price of an acid wash on your pool. This is such an important topic to talk about that it comes before what IS included. The biggest misconception to acid washing is that it is going to clean the pool tile. Acid washing is not going to clean the pool tile. If you need the tile cleaned on your pool see our “tile cleaning” page. If the pool is a salt water pool, salt is not included in the price of the acid wash. Salt will have to be purchased in addition to. Acid washing will not smooth out any rough areas on the pool. Now acid washing can remove rough areas that are cause by build up, but not from etched pools surface. If too much of the pebble is exposed or the plaster is etched, the acid wash will not smooth this out. One more thing, the water to fill the pool is not included. Needing to do an acid wash on the pool will require the pool to be drained. We will price your job out with the drain included. The start up and the chemicals are also included in the bid price. I mentioned above that salt is not, but your standard start up chemicals are. The acid used to do the acid wash, that is included. Extra visits are included. Meaning you will not pay more if we need to come back to the house multiple times to do the job. The actual act of doing the acid wash does not take that much time at all. Last time we did an acid wash We were in and out in less than two hours. The long part is the drain and then the fill. Our pumps can typically get the pool drained down in 4-6 hours. We usually drop the pump off and start draining the pool on day one, then come back on day two to do the acid wash. Draining the pool is quicker than when it times come to filling it. The filling process will determine how big your pool is and how much water pressure the house has. Putting two hoses in the pool when filling almost cuts this time in half. The job start to finish takes about 3-5 days. I personally like dropping my pump to drain your pool first thing in the mornings. While its draining I leave and completed other jobs such as filter cleanings and pool cleanings. When I return back to the pool it is empty and ready for the acid wash. Once the acid wash is done I put the hose in and start filling. This way my job is done all in one day, besides the start up. This is the way I like to do things but the other guys may do it differently. It is common practice in our indusrty to drop the pump and allow the pool to drain on the first day. The second day the tech comes back to do the work and start filing the pool. Once the pool is full the tech comes out to do the start up. Three days. So if you made it this far you finally get to know why you should hire us to do the acid wash on your pool. The first reason is that we have a large network in this indusrty that allows us to work with the best in the business. Our techs are ready to get to get the job done quickly and the correct way. 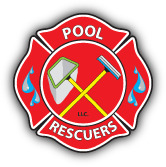 Pool rescuers want to make sure that you are happy with the job. We do not want to damage the pool but we also want to make sure that you have a good experiance. This is an exciting time and should be treated like one. We have systems and people in place to make sure this happens for you. Those systems and people cost money. Although you may pay a little more going through us we hope to make this a great experience. Make a video explaining that we know how big of a deal acid washing is and we know the best in the indusrty.